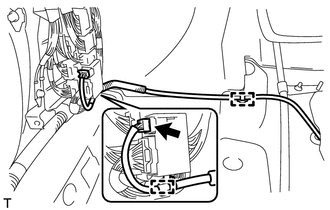 Refer to the instructions for Removal of the front seat assembly. 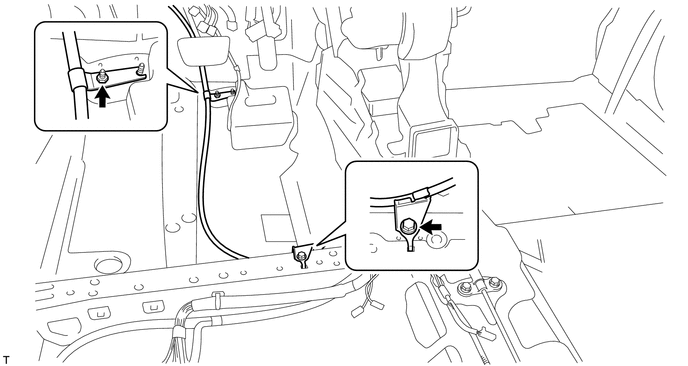 (b) Disconnect the heated oxygen sensor connector and disengage the 2 clamps (for 2GR-FE). (c) Remove the bolt and nut, and separate the No. 1 parking brake cable assembly from the body. 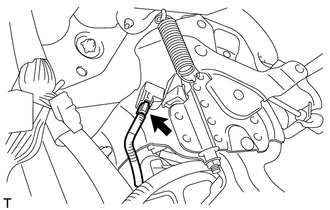 (d) Disconnect the parking brake switch connector. 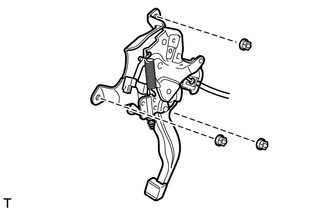 (e) Remove the 3 nuts and separate the parking brake pedal assembly from the body. 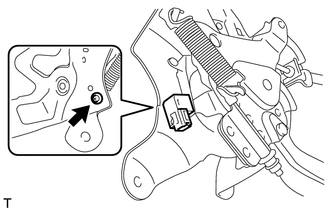 (a) Remove the screw and parking brake switch assembly.